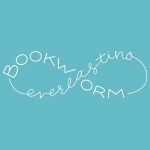 Have you ever read a book where you disliked most of the characters, but the story was so good that you ended up loving the book anyway? Well, that was me after I read The Cruel Prince. I am not exaggerating when I say almost every character was awful, mean, and blood thirsty. It worked, though, and I enjoyed this book from beginning to end. From page one I was instantly lured into the world Holly Black created. This story was not a simple black and white tale. There were so many gray areas that left me conflicted on how to feel about certain characters. Most of them were offensive, but more of a story was there that made me stop and say hmm, maybe they’re not so bad. It’s no secret that I love badass female characters. I get giddy with excitement when there’s a character I can root for and yell, “yes, queen!” I felt like Jude eventually got to that point, but didn’t start that way. Where most of the badass female characters I love show their fierceness though combat, I think Jude excelled at being cunning and clever. She really shined more towards the end of the book. Her sister Vivi was my favorite character. I was never unsure about her. I just knew I liked her right away. Jude’s other sister Taryn left much to be desired though. I have two sisters and if either one treated me the way Taryn treated Jude we would have words. One character that left me conflicted was Cardan. I did not like him from the start, but the more of his story that was told and the more that his character was shown I started to lean towards the possibility that maybe he’s not so bad. I am curious to see the direction his character takes in the sequel. 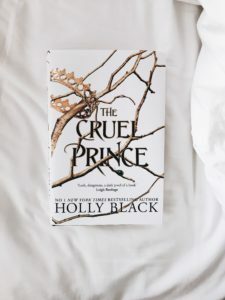 Whenever the sequel comes out I have a feeling it will surpass The Cruel Prince and The Cruel Prince was already an amazing book. There’s so much that happened that can make the sequel one epic story.